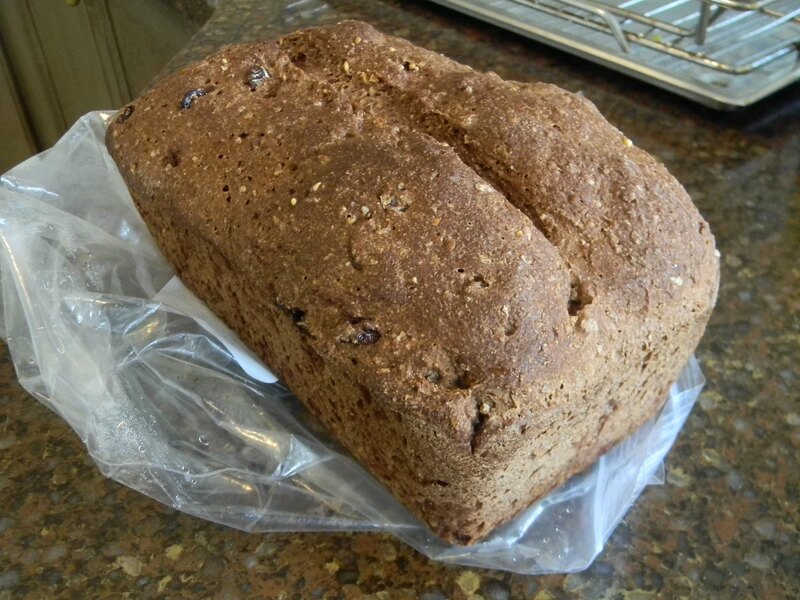 8 Grain Bread - a Farmstand #SundaySupper Staple! | What Smells So Good? Place the cereal and cranberries in a bowl and cover with hot water. Cover with plastic wrap and let stand at room temperature for 12-24 hours. In the bowl of a stand mixer fitted with the dough hook, combine flour, cocoa, sugar, salt and yeast. Add the starter, 1 cup of the water, the stevia and soaked cereal-cranberry mixture and mix on low speed for 12 minutes. Add water as necessary - the dough should be soft but not overly sticky. Punch down and place in a greased 9x5" loaf pan. Cover and let rise until dough rises just above the rim of the pan. Heat the oven to 380F. Slash the top of the loaf with a sharp knife and place in the oven. Bake 40 minutes, until the loaf sounds hollow when tapped on the bottom.